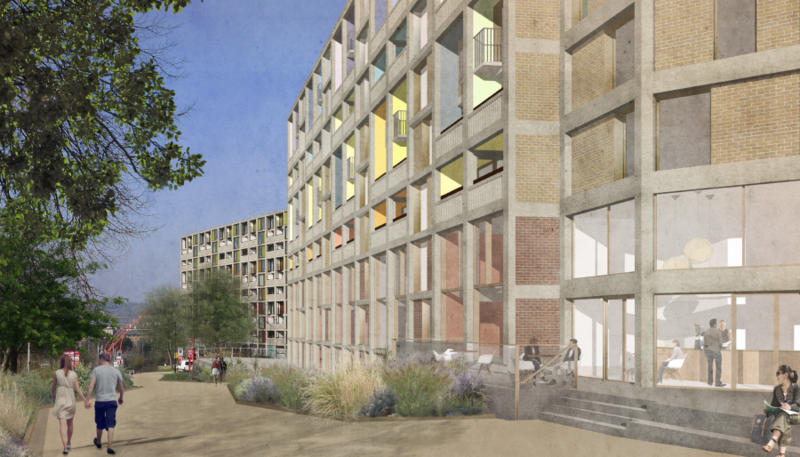 Annalie Riches will be taking about Park Hill Phase 2 at Sto Werkstatt on Thursday 30th November, as part of a series which spotlights the relationships between architects and materials. Read more about the event and register to attend here. 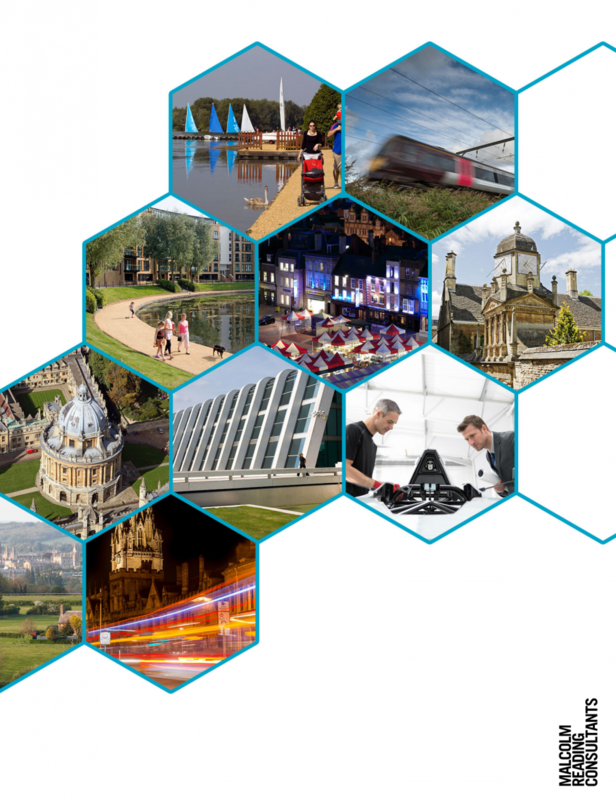 We are in one of four shortlisted teams for Malcolm Reading’s ‘Cambridge – Milton Keynes – Oxford corridor’ competition. 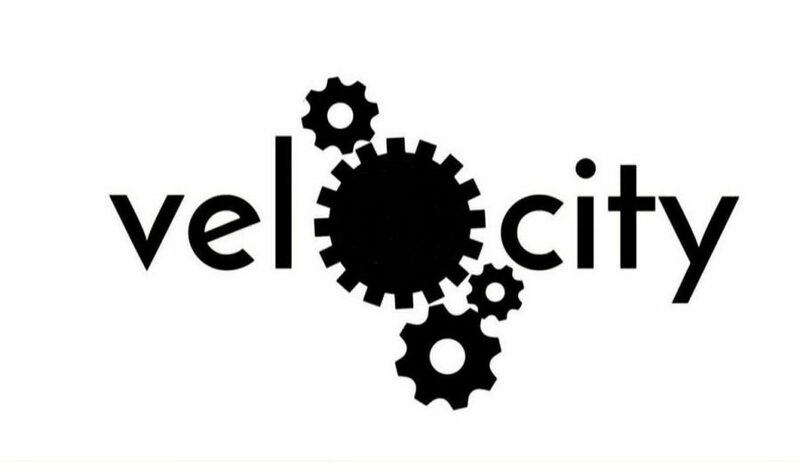 Our VeloCity team includes Tibbalds Planning & Urban Design, Featherstone Young, Marko and Placemakers, Expedition Engineering & Khaa. Our proposals are available to view on the Malcom Reading website, along with the opportunity to support our proposal by emailing in here. 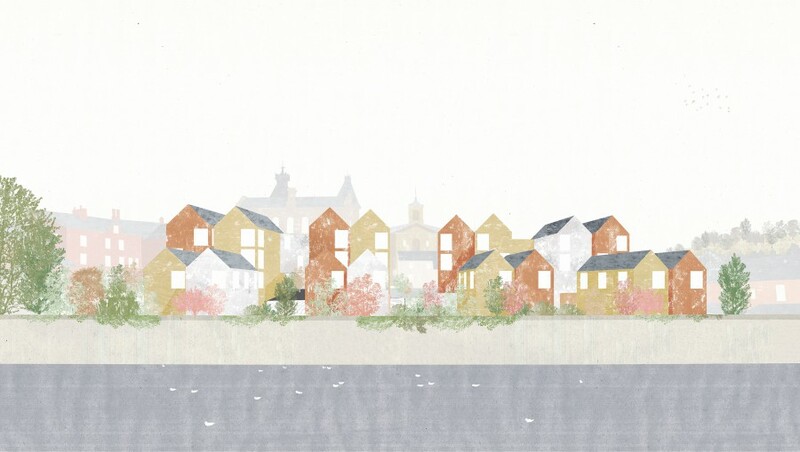 Annalie Riches is part of one of four shortlisted teams for this competition set by The National Infrastructure Commission and Malcolm Reading. Along with Jennifer Ross (Director at Tibbalds), Petra Marko (Co-Founder and Director, Marko&Placemakers), Sarah Featherstone (Co-Director, Featherstone Young) and Kay Hughes we will now be asked to develop proposals for the second stage of this exciting competition. We have won planning consent for our mixed-use scheme on the northern border of the Hackney Wick masterplan, for Coldpark. The scheme will provide 39 new homes, commercial space and a new public street on a former warehouse site. We’re thrilled to have picked up two awards at this year’s NLA annual lunch. We were commended in the ‘culture and community’ category for St Margaret the Queen in Streatham Hill for St Margaret the Queen Parochial Church Council & Broadchurch. 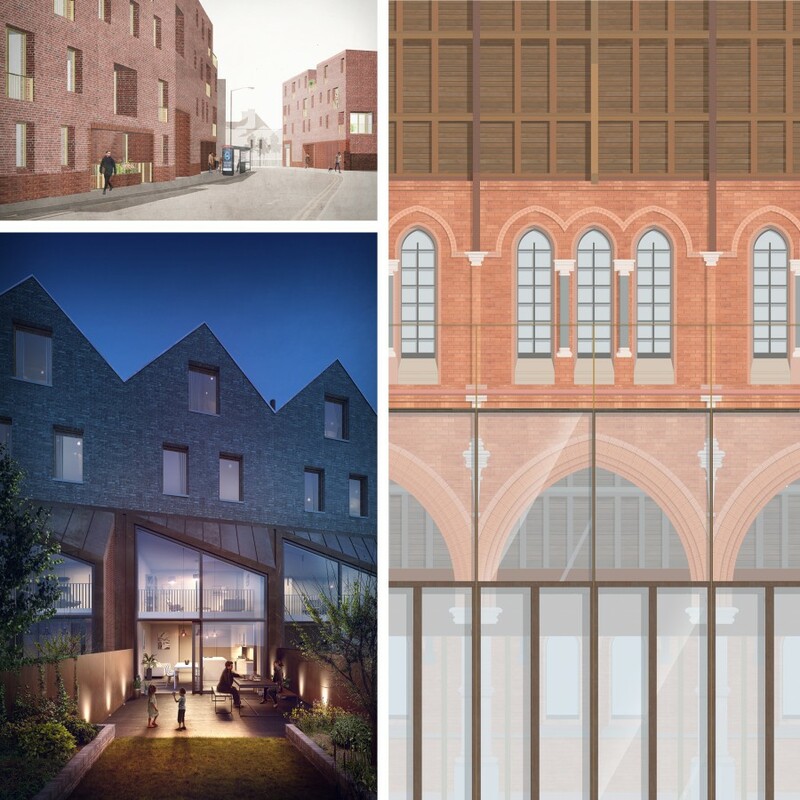 This project includes the re-ordering of the Grade II Listed Church, a ‘Monastic House’ and new housing in the grounds of the Church. 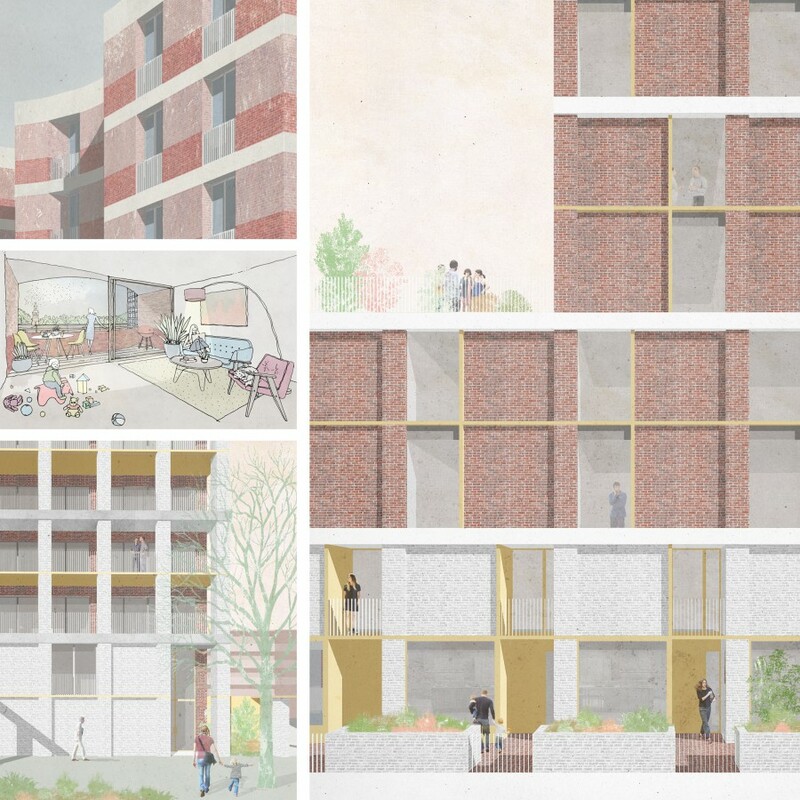 We were also on the winning team for ‘unbuilt housing’ with the Croydon Smaller Sites Programme for Brick X Brick, along with HTA, Mae, Pitman Tozer, Stitch, Coffey and vPPR. 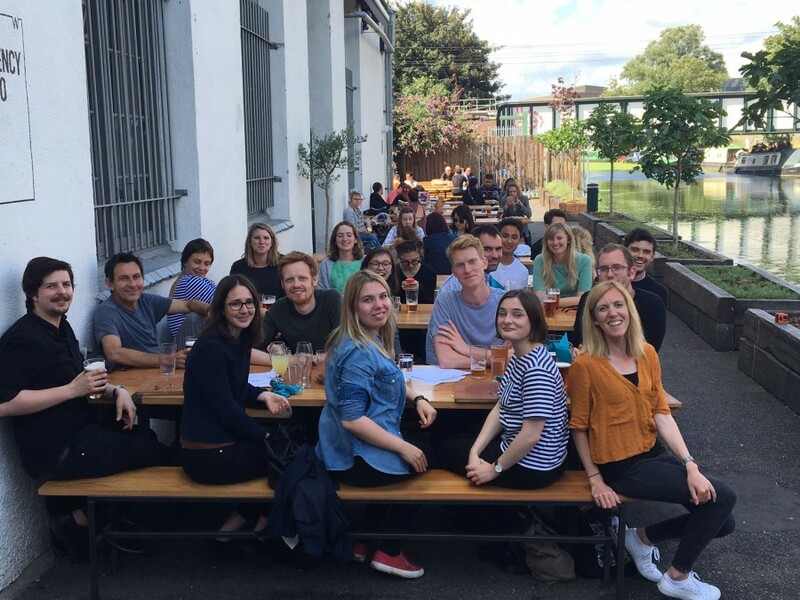 We have been selected to work on housing schemes for two sites near Shoreditch Park in Hoxton, London. 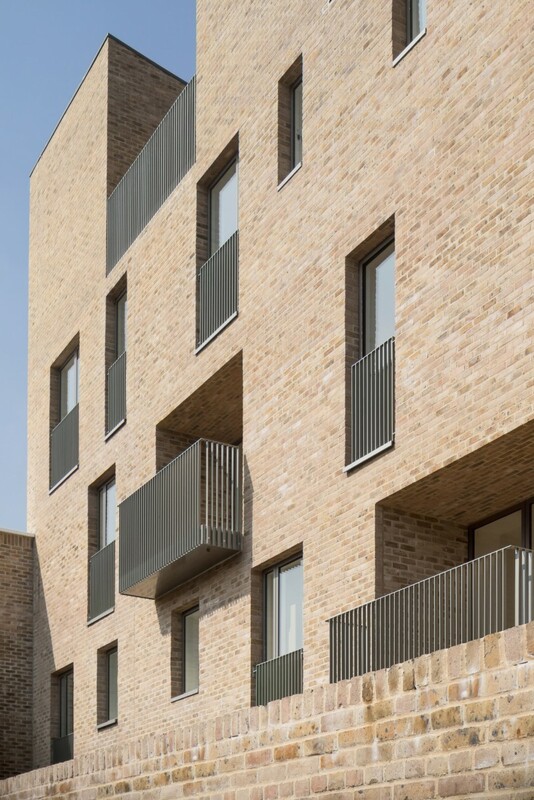 Buckland and Wimbourne Street will be delivered as part of Hackney Council’s ambitious Housing Supply Programme. 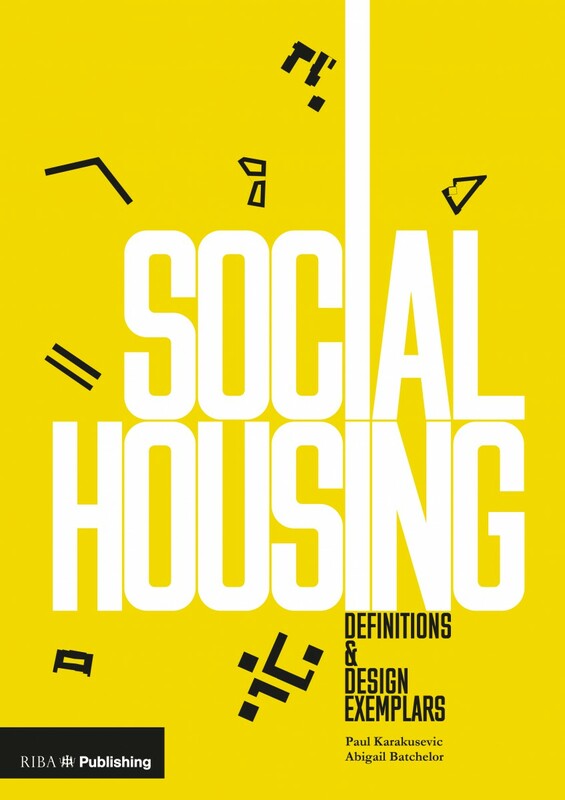 Read more from the judges on the RIBA website here. Setting off on 17th May, Annalie Riches will be cycling 500km from Porto to Lisbon in 3 days. PedElle is organised by Club Peloton for women in the property industry, raising money for the children’s adoption charity Coram. 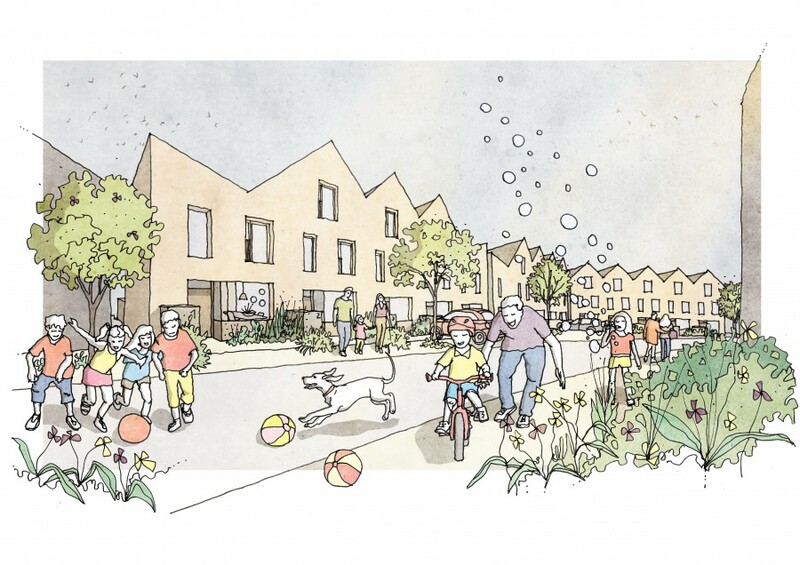 Permission has been granted for Phase 4 of the West Hendon masterplan, located next to the Welsh Harp Reservoir in Barnet, North London. The client is Barratt London, and Mikhail Riches have designed 15 townhouses located on the eastern edge of the Allies and Morrison masterplan. Our scheme follows the natural topography of the site, falling from north to south towards the Welsh Harp. 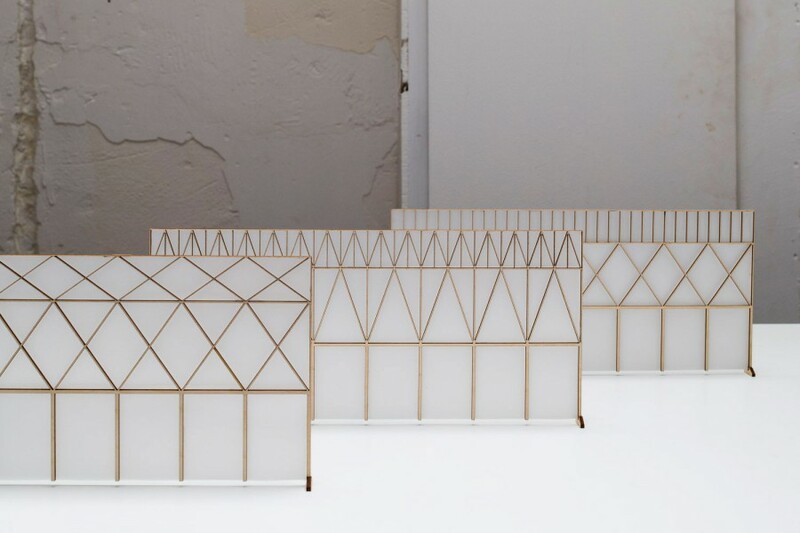 Goldsmith Street, our project for Norwich City Council features in the book and the exhibition which is now open – more information on both can be found here. We’re delighted to have been selected to work with Mid Devon District Council on 40 new homes next to the River Exe in Tiverton. 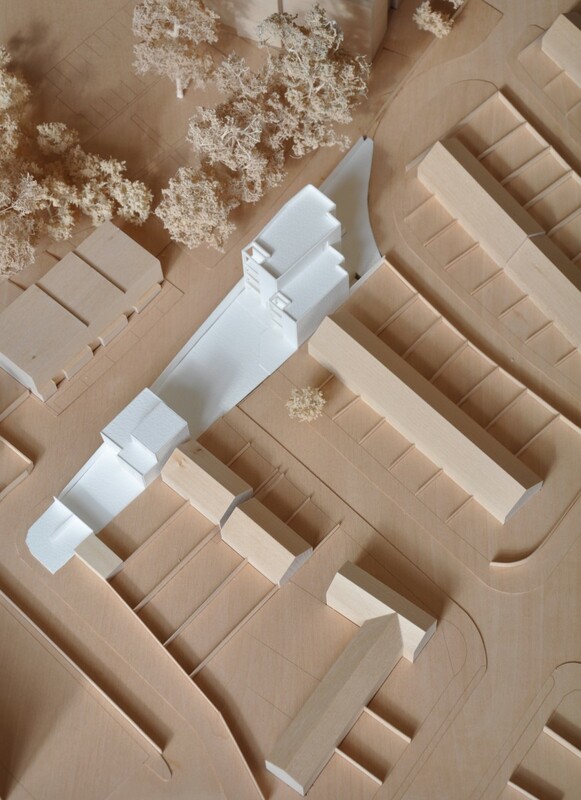 Our proposals are inspired by the historic pattern of development in Tiverton, and the steep topography of the site. The news was published in the AJ and can be viewed along with more images here. 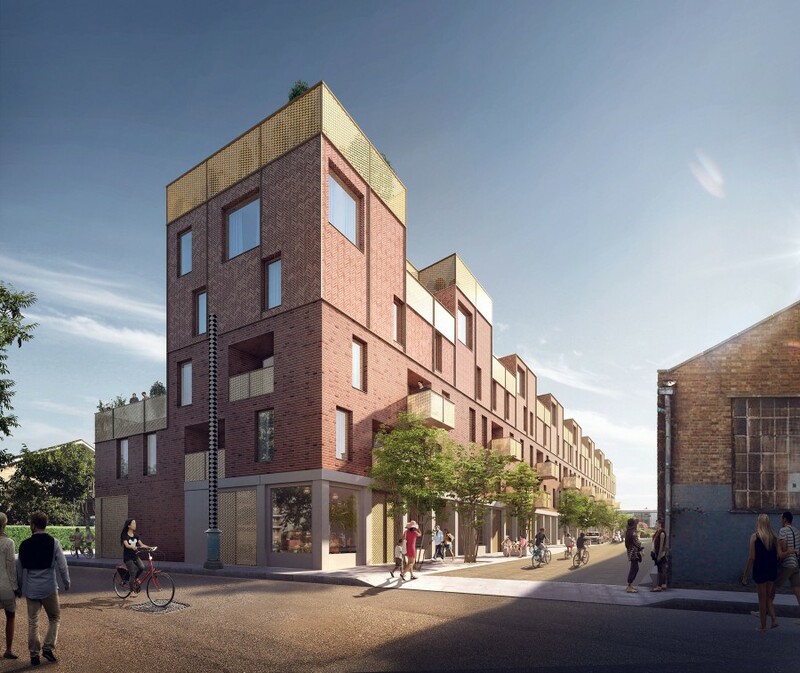 Our mixed-use scheme for Coldpark in Hackney Wick has been submitted to the LLDC for planning. The scheme comprises of 39 homes and commercial space at street level. See more on the project here. Our new address is 15-29 Windsor Street, London, N1 8QG. Click here for directions. 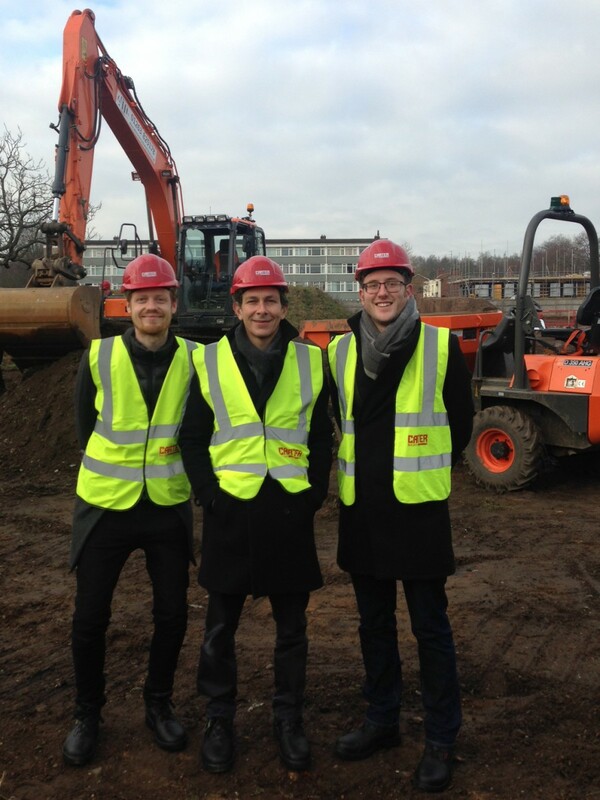 Our project for 105 new homes in Norwich officially started on site today, with a ground breaking ceremony to mark the occasion. 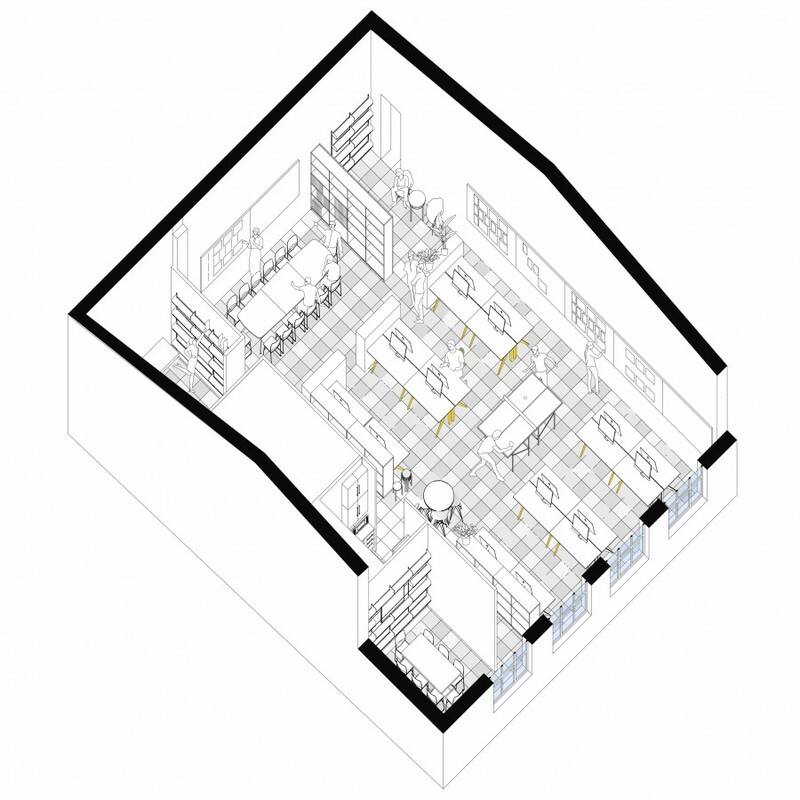 The scheme is for Norwich City Council and is being built to meet Passivhaus standards. Read more on the event here and the project here. Our scheme for seven flats and two houses at Hermitage Road, Croydon has been submitted for planning. The project is for Croydon’s private development company, Brick by Brick. Hermitage Road is within the first batch of projects to be submitted as part of the ‘Smaller Site Programme’, an initiative to deliver 1,000 homes for Croydon. Read more on this in today’s AJ Online news item here. 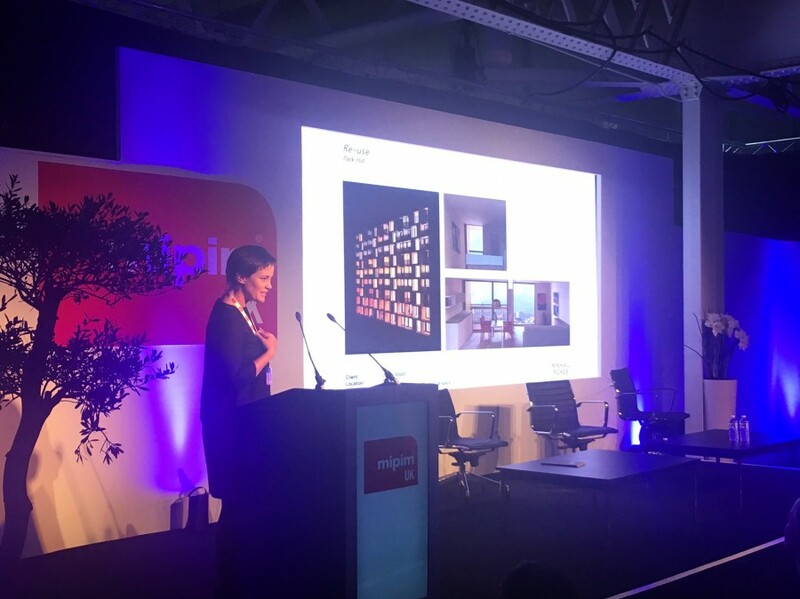 Annalie presented at a Pecha Kucha event held at MIPIM UK in London this week, talking on the subject of ‘visions for the future of housing’. Annalie showed a range of projects, focussing on different forms of delivery. 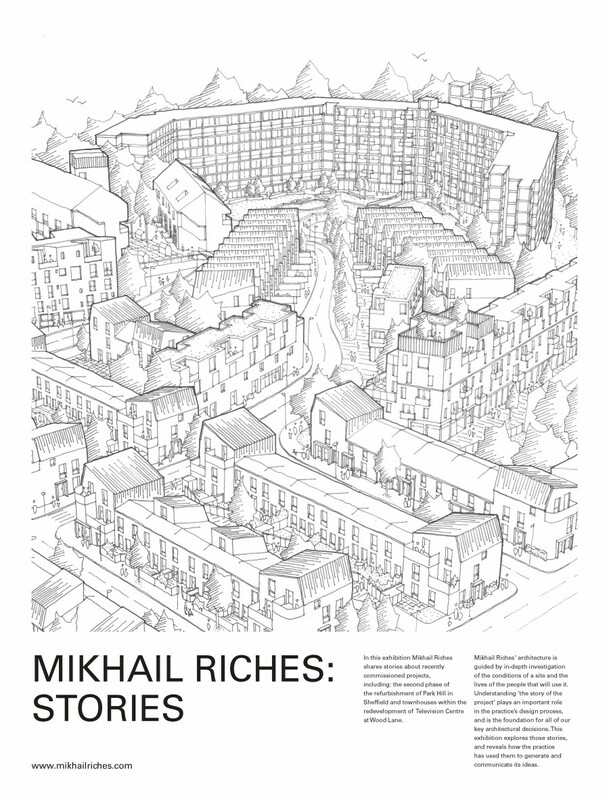 Download a copy of our newspaper/exhibition catalogue produced for our exhibition ‘Mikhail Riches: Stories, held as part of the London Festival of Architecture, 28th-30th June 2016.